Shan Cooper is the Executive Director for the Atlanta Committee for Progress. The ACP was founded in 2003 and their mission is to provide leadership on key issues important to economic growth and inclusion for all citizens in the City of Atlanta. The committee includes more than 40 highly-engaged chief executive officers, university presidents and civic leaders who offer expertise in service to Atlanta and its future development. Shan Cooper is the former chief transformation officer of WestRock and was responsible for the Recycling and Waste Services Division, procurement, enterprise logistics and information technology. Prior to joining WestRock, Shan served as vice president and general manager of Lockheed Martin Aeronautics Company. As general manager, she was responsible for the 6,000 employee operations in Marietta, Ga.; Meridian, Miss. ; and Clarksburg, W. Va., which design, produce, modify and maintain military aircraft for the U.S. and countries around the world. Marietta programs included the C-130J Super Hercules, F-22 Raptor, P-3 Orion, C-5M Super Galaxy and F-35 Lightning II. Shan was named Georgia Trend Magazine’s 2015 Most Respected Business Leader; the 2015 Women of the Year by American Association of University Women; and as one of Georgia Trend Magazine’s Most Influential Georgians in 2012, 2013, 2014, 2015 and 2016. She also named one of Black Enterprise Magazine’s Most Powerful Executives in Corporate America in 2017. 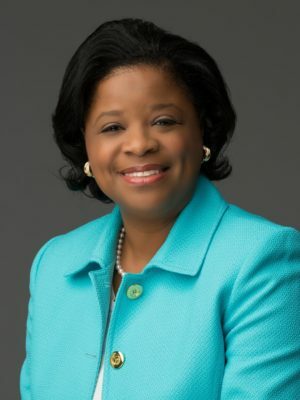 She serves on the Georgia Power Board of Directors, the Board of Directors for The Girl Scouts of Greater Atlanta and the Board of Trustees of both Emory University and the Woodruff Arts Center. Shan is also on the Board for the Technical College System of Georgia, a member of the Atlanta Rotary Club and a Life Member of the Board of Councilors for The Carter Center. Shan earned a bachelor’s degree in biology and religion from Emory University and a master’s of business administration from the Roberto Goizueta Business School of Emory University. She is also a graduate of the Rutgers University Executive Masters in Global Human Resource Leadership Program.